Instagram, the popular social networking platforms has won the hearts of many visually driven users. These users are mostly millennials within the age range of 18 to 35 years. Instagram is now a booming location for brands looking to increase sales by milking from its active 500 million monthly users. The reason for this is obvious as most millennials spend a lot of time on Instagram consuming visual contents that they find appealing. Facebook Inc. currently owns Instagram. 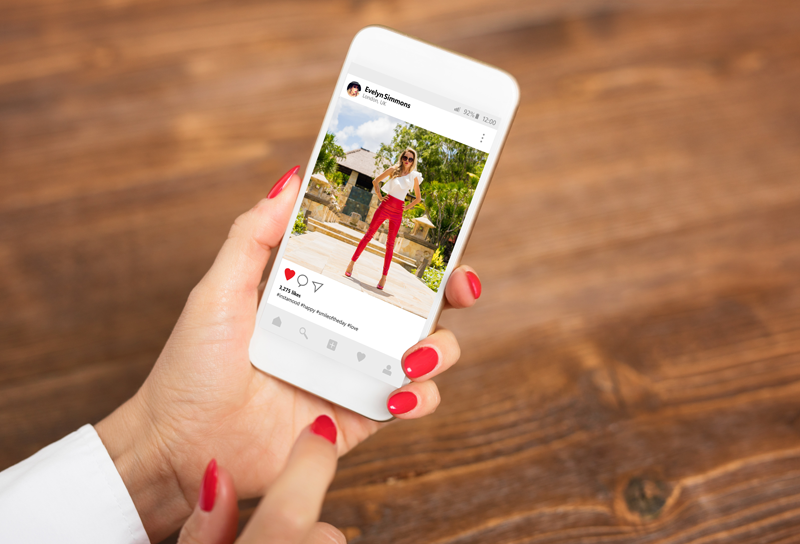 It has capitalized on Instagram’s success by integrating e-commerce into Instagram – with the creation of shoppable Instagram posts. This integration provides more brands with the opportunity to increase their sales revenue – particularly the brands operating with an Instagram business profile. If you are serious about increasing your brand’s sales through Instagram, you may be better off seeking the assistance of a social media marketing agency. If you choose to go it alone, then you should consider these six Instagram ecommerce tips to improve sales. This is obviously the first thing most brands might want to jump into right away, but there are strict rules and regulations about using this interesting Instagram feature. First, only accounts using the Instagram business profile are eligible to use this feature. Secondly, currently, such business accounts must be located in any of the following countries: United States, Canada, Germany, Spain, France, Italy, Brazil, United Kingdom. It is likely that more countries would be added to the list in future. Thirdly, there is a very long list of things that you can’t sell on Instagram some of which include drugs, tobacco, animals, guns, automobiles, supplement, medical or healthcare products and so on (please check through Instagram policy on using the shoppable posts feature). Brands can use this feature to creatively display products from their e-commerce website as posts with up to five product tags per image. Each product tag contains a brief product description and price which is linked to the product URL on the website. So when a follower or visitor click on any tag it takes them directly to the product page on the brand’s website where they can complete the purchase. The Instagram shoppable sticker for Instagram stories allows brands also to sell their products through Instagram stories. However, just a few brands are allowed to use this feature – check the policy on Instagram to verify if your brand qualifies to use it. Instagram had businesses in mind when they created the business profile. It comes with a lot of features, starting with a more detailed bio, that would be of benefit to any business. These features allow followers or visitors to instantly call you, email you, get directions to the physical store of the business and more! So explore all the features available for tracking business profile. However, there are certain features that people with lesser followers might not have access to, like inserting links to stories which is currently only available to accounts that have a minimum of ten thousand followers. Frankly speaking, no one would shy away from any opportunity to save some money when buying something that they really want or need. Everyone loves to spend, but they don’t want to feel like they are spending too much. This is the simple logic behind discounts and offers. It is a very old marketing and sales trick that brands have used for centuries as part of their sales strategy. So just because you are taking it to Instagram won’t make it less effective. Create special offers or discounts for your followers on Instagram with promo codes that they can enter into the website. Or if you are doing a massive sale and you want more people to participate, you can get creative with giveaways that would both create awareness about the sales. For example, you can get people to purchase one or more items from your website to qualify for the giveaway. This is a very fast way to sell on Instagram. Remember that we live in a very fast paced environment with the emergence of the internet and social media. There are a lot of things competing with the attention of your target audience and brands must device very creative and fast ways to get their attention while making quick sales. This method would work more effectively on the regular buyers of the brand. You can start by first teasing your followers about an upcoming product and the release date which would create anticipation. The later you drop the post containing the product asking them to purchase through the link in your bio within a limited time frame. Otherwise, you could just drop the product post and leave them to scramble to get their hands on the item within the given time frame. Quite a lot of e-commerce websites make use of third-party tools and software to sell their products on Instagram. This is particularly the case with fashion bloggers who are affiliated with certain fashion brands and want to generate more sales by allowing buyers to shop their Instagram looks directly. The key tools include Yotpo, Inselly, Curalate, Like2Buy, Shop Social, Post Cart, InstaOrders, Soldsie and more! These tools were used long before Instagram created the shoppable posts feature. There are quite a number of Instagram influencers that brands can work with. One of the many benefits of working with Instagram influencers is that they are able to give a positive perception about a brand’s product to people that follow them. This is because their followers see them as an authority in a niche they are interested in. Find the influencers within the niche of your brand that can get you your desired sales objectives. There are free and paid tools that you can use to properly examine the accounts of these influencers to know if they are right for your brand.